Soy formula may be an inadvertent experiment conducted on infants. Are We Experimenting on Our Children With Soy Formula? More and more parents are embracing soy-based formula, but we don’t have good data on how it might be affecting our children’s hormones. 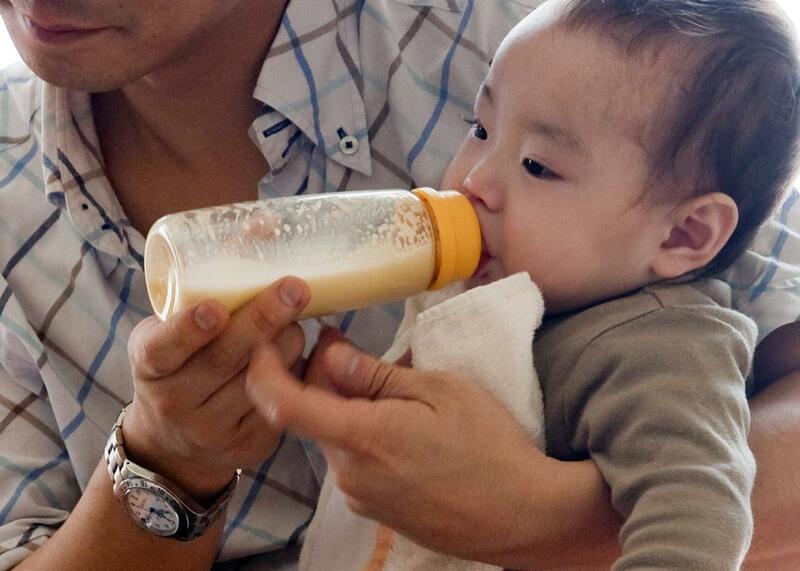 Researchers have been comparing developmental changes in babies fed soy formula, cow-milk formula, and breast milk. This story was originally published on Undark magazine and has been republished here with permission. But his first reaction is that my phrasing would, incorrectly, “make it sound like we were giving children a bad drug on purpose.” The research group, he emphasizes, is merely comparing the health of infants after their parents independently choose a preferred feeding method. No one is forcing soy formula on innocent infants. Rather, I was wondering whether we as a culture, with our fondness for all things soy, have created a kind of inadvertent national study. Soy accounts for about 12 percent of the U.S. formula market, and I’ve become increasingly curious about what this means. Because the science does seem to suggest that we are rather casually testing the effect of plant hormones on human development, most effectively by feeding infants a constant diet of a food rich in such compounds. Research shows that soy milk and soy formula contain up to 4,500 times the level of phytoestrogens found in cow’s milk or breast milk. That’s a notable number. And it’s been associated with remarkably high levels of these compounds circulating in the bloodstreams of soy-fed infants. All of this matters when you consider that phytoestrogens are potent human endocrine disruptors, binding efficiently to the estrogen receptors found in both females and males. And consider further that a baby on a soy formula diet is being repeatedly dosed every day. It’s no wonder then that studies far beyond Taylor’s have found indicators of off-kilter developmental changes, ranging from unusually early menstruation to mammary gland effects. In light of all this, Taylor reconsiders my point. “Well, you are absolutely correct that these babies are getting a lot higher dose of a known estrogenic compound than they’ll ever get from BPA or an endocrine disruptor like that.” And he considers a little more. “In that sense, it could be considered a kind of experiment. Let’s drop back for a minute. The idea that plant hormones—such as genistein, the primary phytoestrogen in soy—can interfere with mammalian development is not new. Biologists have been trying to sort out such effects for more than half a century; one of the first such studies followed the rather startling discovery that sheep grazing on fields dense with a hormone-rich clover could become temporarily sterile as a result of their diet. Cultures with a longtime reliance on soy protein apparently realized this early, Patisaul adds. For instance, the compounds in soy are known to interfere with the body’s uptake of iodine, an element necessary for healthy functioning of the hormones produced by the thyroid gland. Chinese farmers first cultivated soybeans in about 1100 B.C., so it’s not surprising, she notes, that many Asian diets gradually evolved to contain foods that contain extra high levels of iodine, such as seaweeds. Evidence of soybean cultivation in North America dates back to colonial days, but the crop was largely considered one for animal feed. It wasn’t until the late 19th century that the first recipe for dining on soy “peas” (cooked with bacon, salt, and butter) was published by an agricultural research station. And it wasn’t until the 21st century that soy foods took off as a diet staple. The Soyfoods Association of North America estimates that product sales rose from $1 billion a year in 1996 to $4.5 billion in 2013. “More than 75 percent of consumers perceive soy products as healthy,” according to one industry survey. The embrace of soy appears driven both by an increased shift to vegetarianism and by high-profile research showing that a diet high in soy can have a positive effect on heart disease. The main unanswered question there, Patisaul says—and one that’s been difficult to tease out—is whether reductions in heart disease are due to some aspect of soy chemistry, or due to a reduction in eating meat. The reasons infants are fed soy formula, though, are different. Doctors may recommend it as an alternative to breast milk or cow-milk formulas if a baby appears lactose intolerant or has some other digestive upset related to feeding. Some parents choose it because they believe it is healthier and others because they themselves have rejected an animal protein diet for ethical reasons and want to raise their children in that model. It’s such decisions—and the resulting rise in numbers of soy-fed infants—that led researchers themselves to wonder whether a steady diet of a phytoestrogen-rich food would be entirely benign for children in the early stages of development. Another more comprehensive review published the following year simply concluded that more research was needed. Eventually, the National Toxicology Program—a federal project to assess potentially toxic chemical compounds—took on a comprehensive assessment and in 2010 sought to reassure scientists and parents alike. The NTP concluded that soy formula should be considered of “minimal concern” in terms of developmental toxicity, and while Andrew Rooney, an NIEHS researcher who worked on the evaluation, concedes that scientists of a decade ago lacked the full ability to see the kind of minute genetic shifts that are detailed in the work of Jack Taylor and other researchers, he still sees soy as a minor health concern. I spent some time reading through a raft of these papers, including Taylor’s elegant discussion of a chemical mechanism by which phytoestrogens might tinker with human gene expression. And at some point, as one paper led to the next, their range and cumulative weight started to have the feel of a large-scale, if wholly inadvertent experiment in child development. It’s worth noting along these lines that while most studies suggest a more direct effect on girls—who, not surprisingly, possess more estrogen receptors—there are also some hints of subtle effects on boys, ones that the NIEHS scientists hope to study further. While Taylor does not dismiss the idea that parents and their children may be participating in something of an ongoing, unsanctioned experiment on the impacts of soy, he quickly expresses caution about how strong the experimental results are at this point. “We have these hints in humans that this early exposure to estrogens may have long-term consequences,” he tells me, adding that it would be a mistake to scare parents into making some other choice, because the findings on soy are still so subtle, and so new. “We were very careful not to go to ‘don’t use’ in our paper,” he says. It’s too early to do that. But there are indications that parents are becoming more wary. While soy accounts for 12 percent of the market now, in 1998 the American Academy of Pediatrics set that number at 25 percent. And some researchers—including Patisaul—have decided that enough is known to begin sounding additional warning notes. Most people, she says, just aren’t aware that soy is such a hormonally active food, and she’d like to raise a little awareness on that front.